Across the world, the demand for orthopedic surgeries is escalating as a result of increasing geriatric population and obesity concerns. Additionally, traumatic surgeries are incrementing too as a result of sports related injuries. Bone cement are used to fill the gaps between the bones and prosthesis, and are now extensively used as a support for artificial joints around knees, shoulders, and elbows. Collectively, these factors are augmenting the demand for bone cement mixer devices, which are now advanced to be automated and are time efficient. For instance, AutoPlex Cement Delivery System by Stryker has made its way to several hospitals and ambulatory surgical centers. As per the findings of this business intelligence study, the demand in the global bone cement mixer devices will expand at a formidable CAGR during the forecast period of 2017 to 2025. There is a moderate dominance of tier 1 players in the bone cement mixer devices market over tier 2 and 3 players, which can be attributed to their financial might to innovate products in terms of features. Additionally, major players such as SOMATEX Medical Technologies, Cook Medical, Stryker, Smith & Nephew, and Zimmer-Biomet are working on collaborating with healthcare organizations in order to maintain a consistent demand inflow. 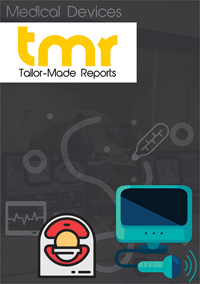 Some of the key trends emerging in the global bone cement mixer devices market are: emergence of antimicrobial bone cements, growing focus on reducing fumes during bone cement mixing procedures, growing usage of portable mixer devices, and increase in strategic initiatives by tier 2 and tier 3 players. The other type of device is bench-top. Geographically, although North America has served as the region with maximum demand potential, vastly populated countries of India and China are expected to transform Asia Pacific into a region of high profitability towards the end of the forecast period.